The company Amnis Energija d.o.o. a member of the LSG Group GmbH, which developed the photovoltaic power plant Barban, was registered in February 2014.with HERA Agency in the register of licenses and is granted permission for an generating electrical energy. This permit ranked the company Amnis Energy d.o.o. 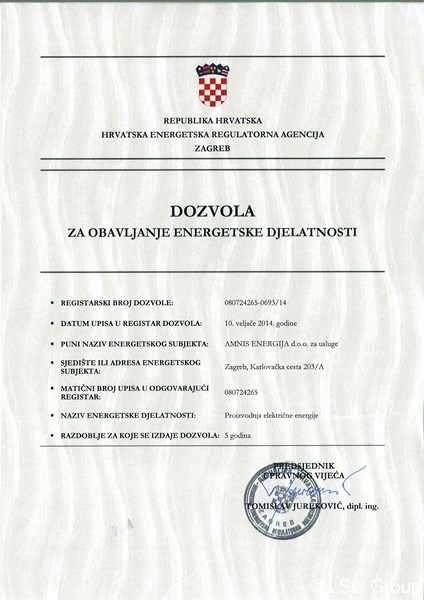 among the few companies that have the right to produce electricity in Croatia of which we are very proud.